Bhubaneswar: The premium makeover of Hero MotoCorp Ltd., the world’s largest manufacturer of motorcycles and scooters, took yet another giant leap today with the unveilingof its new premium motorcycle – the XPulse 200T – at the global platform of the EICMA motorcycle show in Milan, Italy. The XPulse 200T is a ‘Tourer’ that offers customers modern technology in retro styling. Built to inspire touring, the XPulse 200T offers easy and confortable riding posturethanks to its focus on ergonomics, and loading capability with its large luggage plate. The motorcycle offers a host of safety and convenience features such as single channel ABS, LED head and tail lamps, digital speedometer with Bluetooth connectivity and turn-by-turn navigation. Hero MotoCorp has been rapidly building up a robust range of premium motorcycles and scooters. 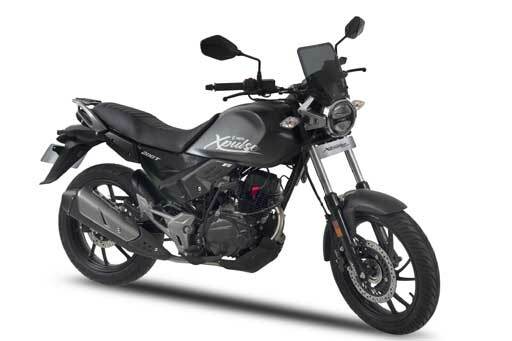 The Xtreme 200R, which was recently launched in India, is a youthful city motorcycle. The XPulse 200T on the other hand is a touring motorcycle, while the XPulse 200 caters to the adventurers beyond paved roads. Both XPulse 200and XPulse 200T are likely to be launched in the market towards the beginning of next year. Emphasizing its focus on a diverse range of higher capacity products, Hero MotoCorp also showcased its new range of 125cc scooters – Duet 125and Dash125 (Destini 125 and Maestro Edge 125 in the Indian market) at the EICMA. Developed for customers across the globe, the scooters exude youthful styling, premium features and superior technology. Compliant with the stringent Euro IV emission norms, these scooters and motorcycles give Hero immense opportunity to meet the market demands in several geographies across the world. Unveiling the new XPulse 200T here at EICMA, Mr. Malo Le Masson, Head of Global Product Planning, Hero MotoCorp, said “The Adventure and Touring motorcycle segments are very popular across the world and here we are showcasing Hero’s vision for these segments with the XPulse 200T based on our unique XPulse platform. 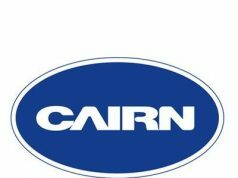 We aim to furtherexpand this platform and more products to ourportfolio by the second quarter of the next year. Concurrently, we have used the newXPulse 200T for a unique initiative of co-creating diverse Concepts with customization specialist, and showcased the engineering prowess of developing a versatile platform. This also provides usan opportunity to capture the growing trend of direct customer engagement while opening the door to a new line of businesses. The new 125cc scooters –Duet 125 and Dash 125 – provide a perfect commute with style and performance. Hero MotoCorp already has three popular scooters in the 110cc engine category. These new Euro IV compliant scooters with higher engine capacity will go a long way in enabling Hero MotoCorp to gain additional customer-traction and entering newer markets. With added emphasis on premium styling,power and technology, the scooters come packed with a host of modern and bold features. The four custom motorcycles – a Café Racer Concept, a Desert Concept, a Scrambler Concept and a Flat-Track Concept – which have been designed and developed on the XPulse200T platform, display the potential of a brand extensionof the platform through variants and accessories. It also enables the Company to develop and co-create youthful new variants, which can act as the right vehicle to focus on specific customer needs and markets across the globe. Following the global launch of the Xtreme 200R (‘Hunk 200’ in markets outside Asia), the Company is now preparing to launch the XPulse 200and XPulse 200T motorcycles in all its markets beginning next year.